A study by the Kauffman Foundation shows that all net job growth is due to Start-Ups. Between 1977 and 2005, existing firms are net job destroyers, losing 1 million jobs net combined per year. By contrast, in their first year, new firms add an average of 3 million jobs. When it comes to U.S. job growth, startup companies aren’t everything. They’re the only thing. It’s well understood that existing companies of all sizes constantly create – and destroy – jobs. Conventional wisdom, then, might suppose that annual net job gain is positive at these companies. A study released today by the Ewing Marion Kauffman Foundation, however, shows that this rarely is the case. In fact, net job growth occurs in the U.S. economy only through startup firms. 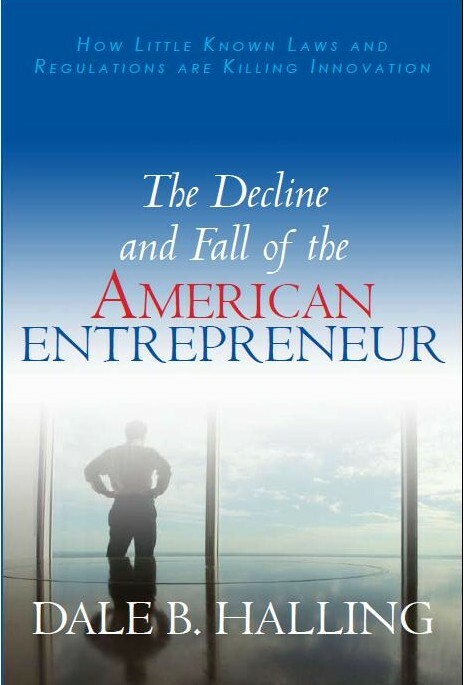 This study dovetails very nicely with my book, The Decline and Fall of The American Entrepreneur, How Little Known Laws and Regulations are Killing Innovation. The book explains why the US growth was so strong in the 1990s and weak in this decade even before the financial crisis. I identify three foundations on which technology start-up companies built on intellectual capital, financial capital, and human capital. All three of the foundation have been under attack since 2000. Our patent laws have been weakened reducing the value of intellectual capital. Sarbanes Oxley has made it impossible to go public reducing financial capital for start-ups and the FASB rules on stock options have made it harder to attract human capital to start-ups.